Description: This report discusses the contributions that regional and subregional bodies can make in implementing the United Nations Counter-Terrorism Strategy. 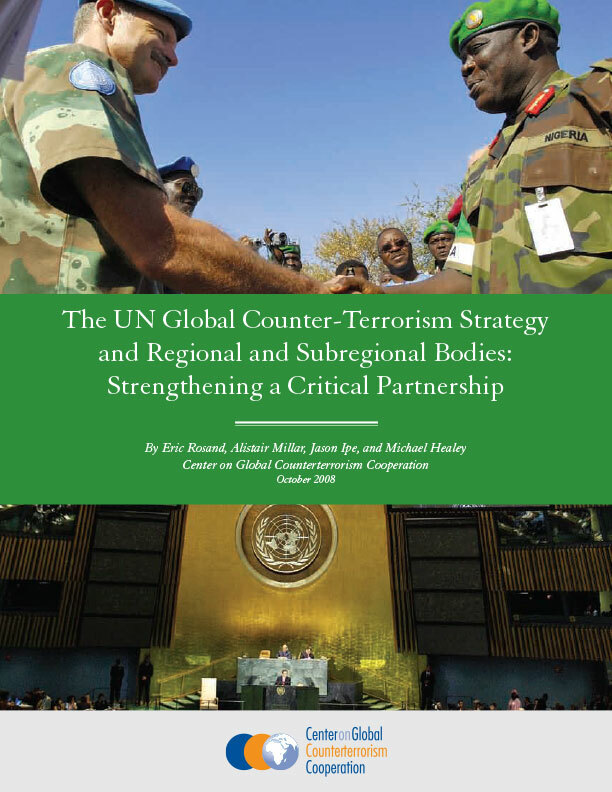 It provides a region-by-region survey of some of the contributions of those bodies and an overview of counterterrorism-related engagement between regional and subregional bodies and the UN system. It concludes with a series of forward-looking recommendations on maximizing the contributions of regional and subregional bodies to Strategy implementation and to counterterrorism efforts in general, as well as improving cooperation between those bodies and the United Nations.